WEN Event: Economics with equal contributions: why does diversity in economic policy making matter? Economics with equal contributions: why does diversity in economic policy making matter? The economics discipline has a very significant influence on policy making in Australia. As we consider ways to address the dwindling number of women studying and undertaking careers in economics, we must also continue to prosecute the case for diversity in policy making. Please join us for a Special Women in Economics breakfast panel event sponsored by The Treasury to hear from some of the leading economic policy minds in Canberra to discuss the challenges and benefits in bringing a range of perspectives to the table. The event will be held on Wednesday 13 June from 7.30am, for a 7.45am start. We will aim to finish around 8.45am. A light breakfast will be provided. The panel members will be introduced by Linda Ward, Principal Adviser, Revenue Group, Treasury and the session will be facilitated by Cecilia Karmel, Manager, Macroeconomic Group, Treasury. We thank The Treasury for their support of the Women in Economics Network and this special event. Meghan commenced as Deputy Secretary, Structural Reform Group in March 2017. In this position Meghan has responsibility for providing advice to the Government on structural reform matters. The Group has responsibly for policy relating to competition, industry, infrastructure, regional development, energy, environment, communications, transport, workplace relations and regulatory reform. Prior to her current role, Meghan was Division Head, Financial System Division in Treasury’s Markets Group, Head of Secretariat for the Government’s Australia in the Asian Century White Paper (based in the Department of Prime Minister and Cabinet), Division Head of the Macroeconomic Modelling Division and Principal Adviser for Forecasting, both based in Treasury. Meghan has extensive macroeconomic modelling and policy experience developed through her time in the Australian Treasury and the Bank of England (1996-2004). Meghan has a Masters of Economics from the London School of Economics and a Bachelor of Economics (1st honours) from the University of Western Australia. Meghan was awarded the Public Service Medal in 2009. HK was the First Assistant Secretary, International Division, Department of the Prime Minister and Cabinet from April 2016 and Acting Deputy Secretary NSIP from August 2017 to March 2018. HK transferred to Department of Foreign Affairs and trade early March 2018 and is First Assistant Secretary for Middle East and Africa Division. HK has extensive experience in representing Australia in various international fora. 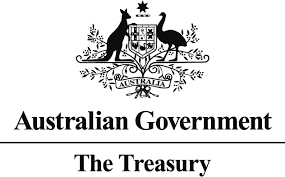 As the General Manager of the G20 Policy Division, HK supports the Treasurer to shape, manage and lead the policy agenda and engagement in relation to Australia’s hosting of G20 Finance Ministers and Central Bank Governors meetings. HK was posted to the Australian Embassy in Tokyo, Japan as Minister-Counsellor (Economic) between 2009 and 2012. During this time, HK was seconded to the Korean government to assist with preparations for the G20 meetings during 2010. She was awarded a Public Service Medal in 2011 for outstanding public service in strengthening the Australia-Korea bilateral relationship, particularly through major contributions to the successful outcome of the G20 in Korea in 2010. HK has a Bachelor of Commerce (UWA), a Graduate Diploma in Economics (ANU) and a Master of Taxation (UNSW). Jenny is the head of the Parliamentary Budget Office (PBO). The PBO is responsible for providing independent and non-partisan budget and fiscal analysis services to all parliamentarians, including providing confidential costings of proposed policies on request. The PBO’s mandate also includes undertaking and publishing research reports that are aimed at improving the public’s understanding of budget issues and enhancing transparency around fiscal matters. Over her career, Ms Wilkinson has worked across a wide range of public policy areas in the Commonwealth Treasury, the Department of Climate Change, the Department of the Prime Minister and Cabinet and the Reserve Bank of Australia. She has been responsible for providing advice on policy issues including fiscal and monetary policy settings, macroeconomic developments and forecasts, retirement income and superannuation policy, small business policy, competition policy and climate change policy. Ms Wilkinson holds a Masters Degree in Public Affairs from Princeton University and a Bachelors Degree in Economics (with Honours) from the Australian National University. Professor Breunig is the Director of the Tax and Transfer Policy Institute at the Crawford School of Public Policy. He directed the Crawford school from 2015 to 2016. Professor Breunig is one of Australia’s leading Public Policy Economists. He has published in over 50 international academic journals in economics and public policy. Professor Breunig has made significant policy impact through a number of his research projects: the relationship between child care and women’s labour supply; the effect of immigration to Australia on the labour market prospects of Australians; the effect of switching to cash from food stamps in the U.S. food stamp program and the inter-generational transmission of disadvantage. Professor Breunig’s research is motivated by important social policy issues and debates. His work is characterized by careful empirical study and appropriate use of statistical technique. Professor Breunig’s research agenda has led to many partnerships with government organizations in Australia and overseas. He works regularly with the Australian Treasury, the Department of Employment, the Department of Industry, the Department of Communication and the Arts, the Productivity Commission, the Australian Bureau of Statistics as well as many other agencies. He has been a consultant to the private sector on marketing, mergers, bank competition and customer loyalty programs.